You can delete a claim as needed. 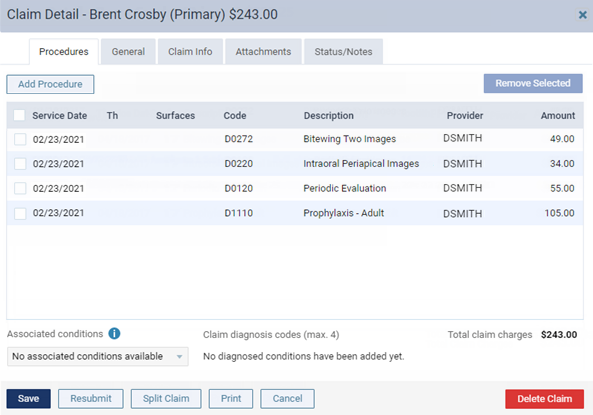 Deleting a claim does not delete the procedures associated with the claim but does delete payments associated with the claim. Click (or tap) Delete Claim.